All Bookyboo books are immaculately packed in a thick double ply envelope ensuring that your order will arrive safely, timely, and smartly. Shipping to India is FREE. Delivery time is estimated to be within 10 - 12 days. You can check your exact delivery date at the checkout stage. 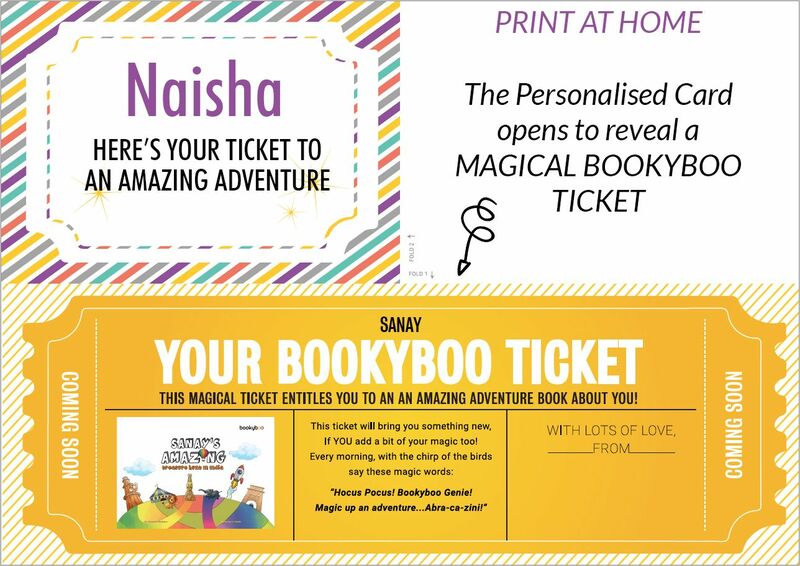 Is your Bookyboo gift arriving too late? We have A SPECIAL TICKET for your little one. This personalised printable card could save the day. You will be able to download yours at the cart stage. How long will the bookyboo take to reach the shipping address? Delivery time is estimated to be 10 to 12 calendar days. You can check the exact delivery date at the time of checkout. Is there an option for express shipping? Please contact us for an express shipping. You can reach us via email or whatsapp. Scroll down to the bottom of the page for contact details.